Don’t let safety slip. In Canada over 44,000 workers get injured annually due to fall accidents. The majority of these falls happen on the same level resulting from slips and trips. 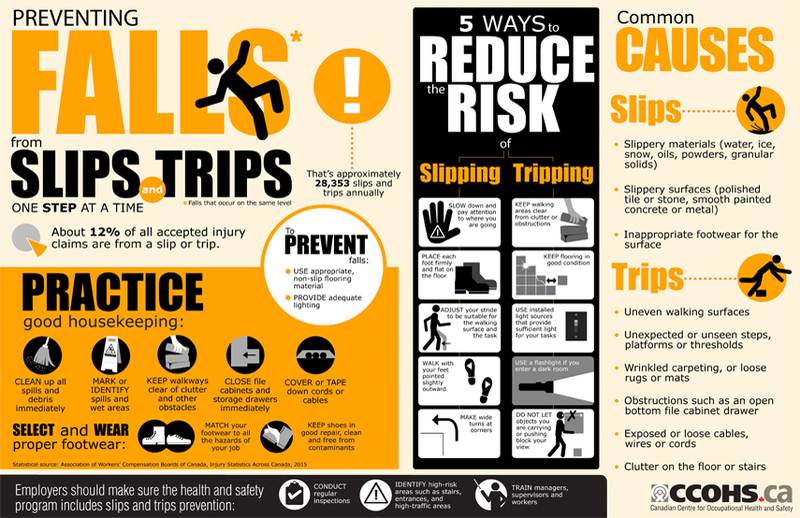 Share this infographic that outlines the common causes of slips and trips, along with practical tips for both employers and workers, from practicing good housekeeping to conducting regular inspections, to prevent these types of falls.